Central but still quiet location. Extremely kind and caring host! Apartment is adequately equipped and absolutely suitable for a couple. The apartment was nice and had everything that I could need. It was bigger than the photos show. The host was incredible and solved any problems that I had at the apartment quickly. 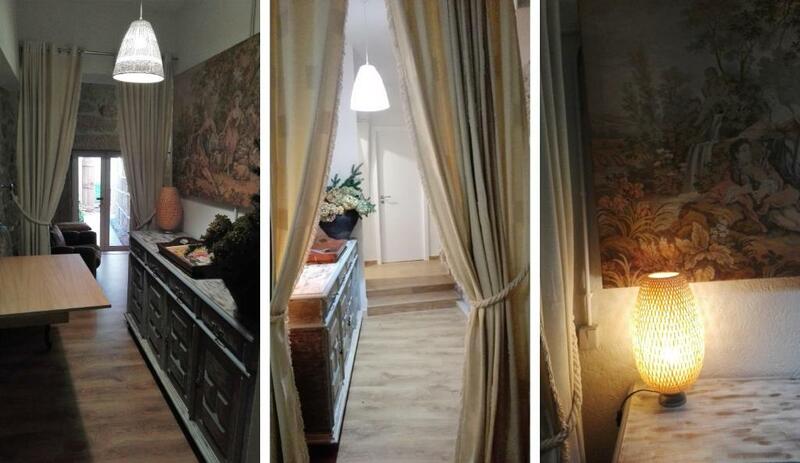 The location was superb - right in the heart of Vila Real. Everything is walking distance and the closest grocery shop is about 150m. Fernando was very helpful and made a great recommendation on a train trip - without his recommendation we wouldn't have known about it. The location was great and the garden ( planted in herbs) was lovely. Fernando - the host, was attended and helped me with everything I needed. Já conhecíamos o alojamento e o anfitrião e estava tudo impecável. Muito confortável. Tinha tudo o que era necessário. O apartamento resulta de uma requalificação muito bem conseguida. É muito acolhedor, confortável e bem decorado, com algumas peças de mobiliário e decoração lindíssimas. A sua localização é ótima e é ideal como base para explorar Vila Real e arredores. Agradeço ao nosso anfitrião, Fernando, os conselhos sem os quais não teríamos descoberto algumas das maravilhas que Vila Real e o Douro têm para oferecer. Appartement très bien équipé et la climatisation (je ne savais pas que cela fonctionnait aussi comme un radiateur!) très utile en ce mois de janvier très froid. Elle sera sûrement aussi utile en été! Lock in a great price for Era Uma Vez Apartment – rated 9.1 by recent guests! One of our best sellers in Vila Real! 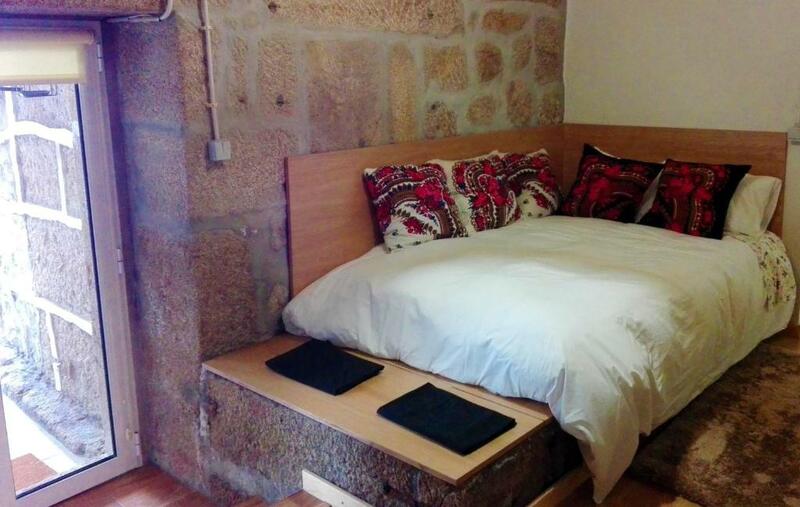 Located in Vila Real, just 2.5 miles from Mateus Palace, Era Uma Vez Apartment provides accommodations with barbecue facilities, a garden and free WiFi. With garden views, this property has a terrace. The apartment comes with 1 bedroom and a fully equipped kitchenette with a microwave. A flat-screen TV with cable channels is provided. 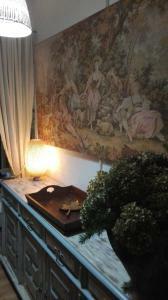 When would you like to stay at Era Uma Vez Apartment? This apartment has a tile/marble floor, stovetop and toaster. 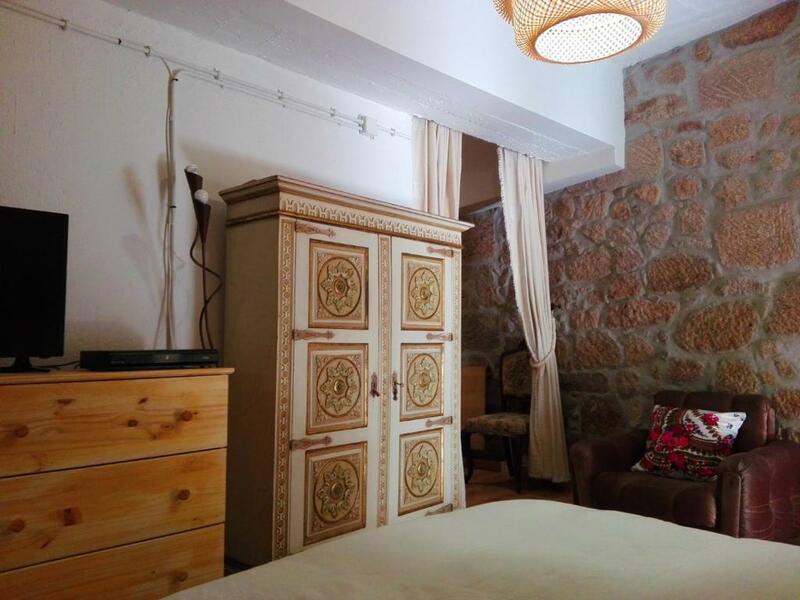 Small (33 m2) ground-floor 1-bedroom apartment with kitchenette. Unique design, unique place. The apartment has access to a shared garden. My name is Maria. I love to read, write and (with the help of my friend Fernando) hosting guests from all over. On the centre of Vila Real, close to the Cathedral, Old Town, cliffs of River Corgo, City Hall, etc. 15 min. from dramatic/romantic landscapes of Douro Valley Wine Region (UNESCO World Heritage Site), Marão mountain range and Alvão Natural Park. House Rules Era Uma Vez Apartment takes special requests – add in the next step! Please inform Era Uma Vez Apartment of your expected arrival time in advance. You can use the Special Requests box when booking, or contact the property directly using the contact details in your confirmation. The shower system was a bit uncomfortable - there were 2 options: ice cold or boiling hot.